The absence of consistency is the principal reason ordinary mortals hit one good shot in 10. Among my Facebook friends are a few teaching pros who like to post videos of swing analyses. 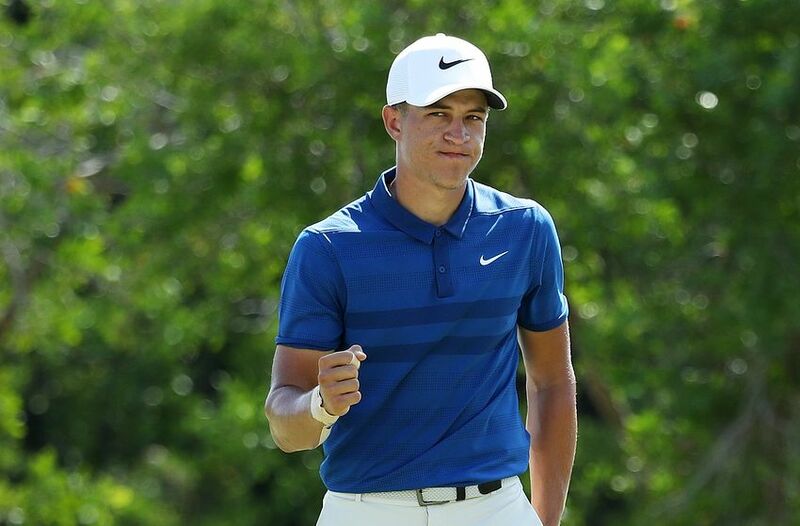 The current favourite is Cameron Champ, a 23-year-old from Sacramento who is apparently fashioned from India rubber. Nothing else can explain the preposterous position he gets into at the beginning of the downswing as he clears his hips in a manner that would put a normal man in hospital with a dislocated pelvis. There is nothing in Champ’s swing that is remotely possible for those of us who would be on the senior tour, were it not for a complete and utter lack of talent. Instead, it occurred to me that my analytical friends must be sitting on a gold mine, but they haven’t quite worked it out yet. What they should really be showing us is John Q Public in his many guises as he addresses the dimpled temptress. My point is this: showing us Hogan or Woods or Champ and saying, ‘Go thou and do likewise,’ is entirely pointless. You might as well show a video of a magician sawing a man in half. You know it’s a trick, but unless you’re a member of the Magic Circle you have no chance of emulating it. We should rather be studying videos of low-handicap seniors and drawing inspiration from there. We all know friends with idiosyncratic swings that no one would ever hold up as worthy of emulation. But the majority of these friends can probably hack it round in under a hundred on a regular basis, which for the majority of the golfing world is the Holy Grail. How do they do it? Well, here’s a swing analysis. I’m reminded of the West Indian cricketer Shivnarine Chanderpaul, who stood chest-on to the bowler and was constantly on the move as the ball was released. Yet, at the point of impact, Chanderpaul was in a classical, sideways-on position, which explains why he averaged over 50 in 164 Test matches. The thing to remember is that he was consistent in meeting the ball, which is the aim of swing analysis in cricket and golf. The absence of consistency is the principal reason ordinary mortals hit one good shot in 10. Remember that the average golf handicap for men is around 16, for women around 28. Those are the available figures, but they take no notice of occasional players. The real average is far higher, hence breaking 100 is always worth celebrating, especially if you have an odd swing. My father-in-law is a retired dentist who played rugby for England. He plays golf left-handed and is of the firm belief that the swing ends at the point the ball separates from the club. All the coaching in the world could not convince him to follow through in a balanced position. Once, and only once, his tee shot to a par three at Selborne landed on the green and rolled to within six inches of the hole. I persuaded him to make his birdie and he duly hit the ball three feet past and missed the one back. He was right, he should have gone to the pub after the tee shot. And therein lies the moral of this story.